When looking for documentaries about North Korea, one often finds such “high quality” films like “The VICE Guide to North Korea”. In the best case, they end up being uninformative, and in the worst case they simply refuse to take North Korea seriously. 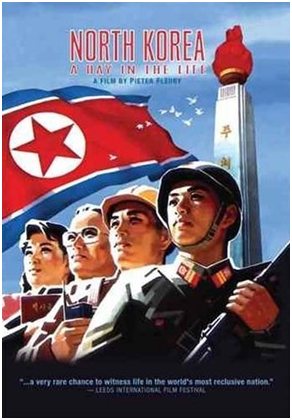 As such, it is the aim of this second and last part of the series to present two rather unknown documentaries about North Korea that go beyond the usual mockumentary. This Dutch documentary by Pieter Fleury aims to portray the ordinary life of a North Korean family. Just trying to explore this issue makes this documentary stand out because most others focus on the “usual suspects”, e.g. politics, economics, and history. The presented family has evidently been pre-selected because it would otherwise not be possible to get permission to film inside a truly ordinary North Korean’s home. Furthermore, seeing North Koreans openly talking about using the internet is clearly not an accurate picture. However, when watching Fleury’s film one does get the distinct impression that he is aware of these limitations and that he trusts the viewer to pick up on them as well. Personally, this feeling is achieved because “A Day in the Life” is not narrated. In doing so, it is not trying to judge, blame, or point fingers. When looking close enough, it is therefore possible to clearly see the cracks behind the façade and catch a glimpse of what a real day in life in North Korea may look like. During the Korean War, six American soldiers are known to have defected to North Korea. Out of these six, James Joseph Dresnok is the most prominent one because he did not re-defect but more importantly, because he is an official North Korean citizen and the last remaining of the American defectors to be alive. He has no intention of leaving and plans to spend the rest of his life in North Korea, where he spends his time teaching, translating, fishing, and acting. I do not know to what extent his story is widely known but I personally find it extremely fascinating and would therefore like to share it. I hope that this series has shown some rather unusual and interesting aspects about North Korea that go beyond what is usually shown in the Western media. It is crucial to go beyond generally streamlined articles in order to better understand North Korea and therefore better prepare for unification.